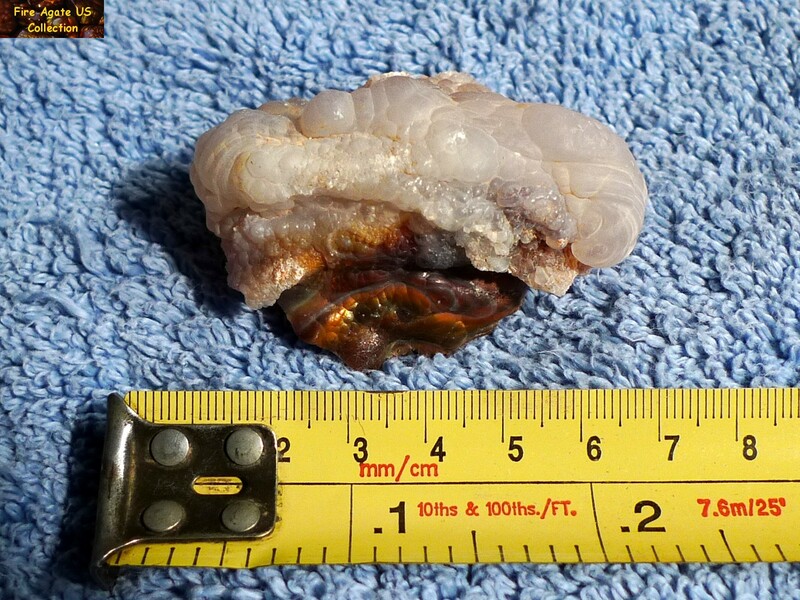 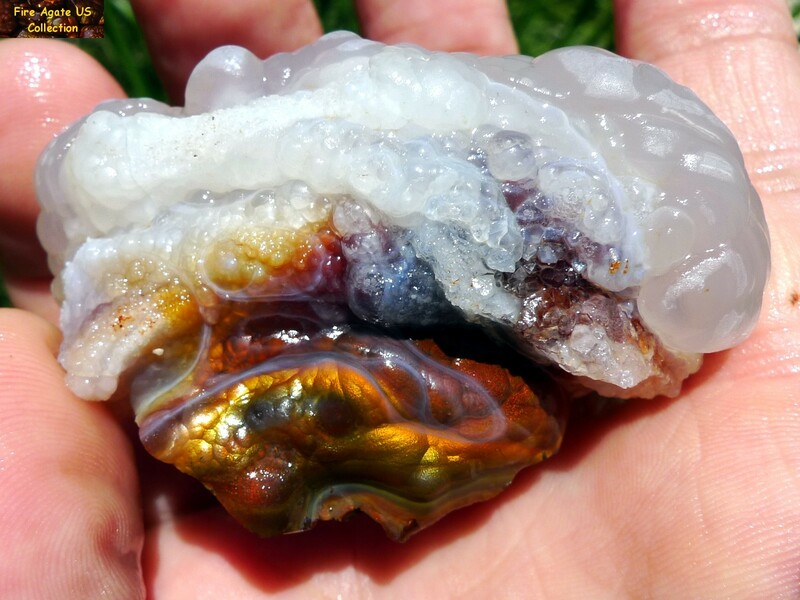 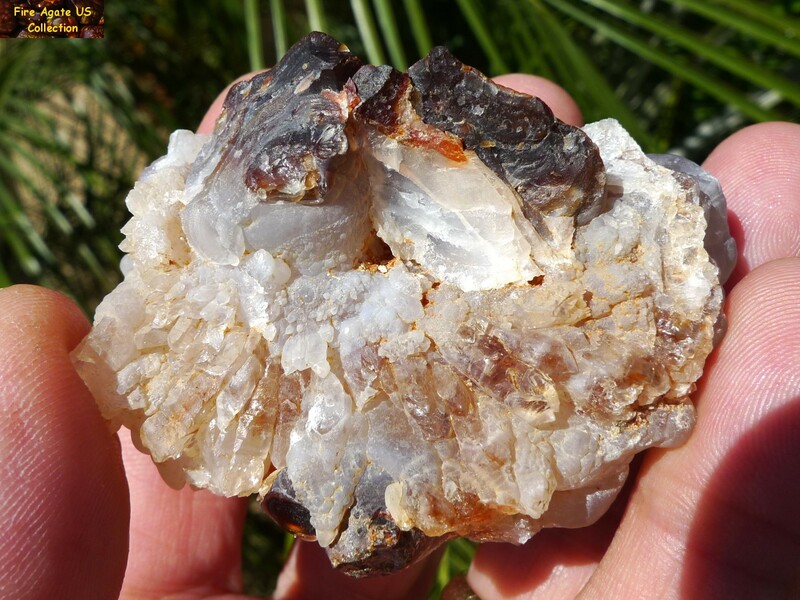 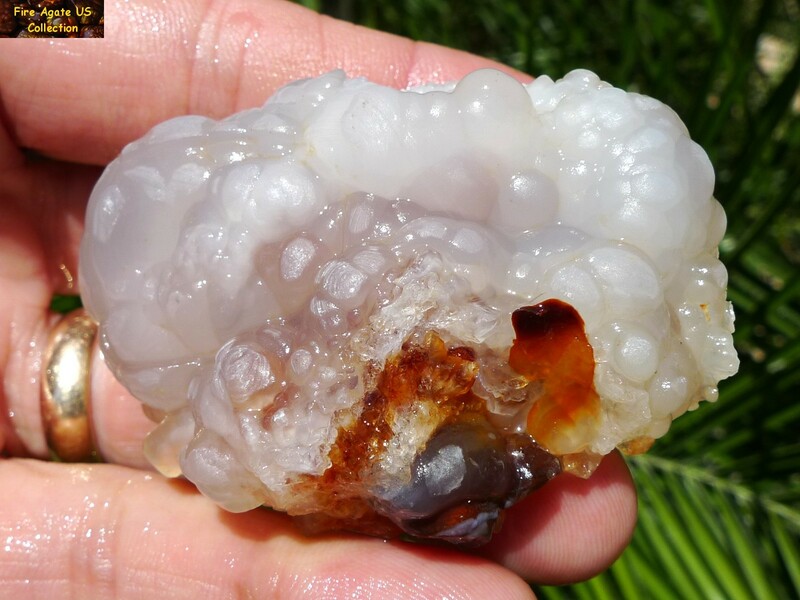 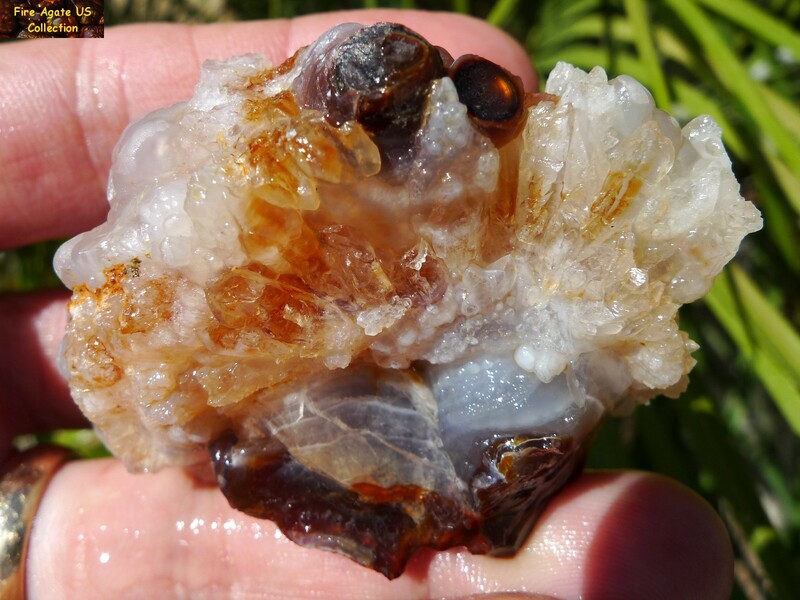 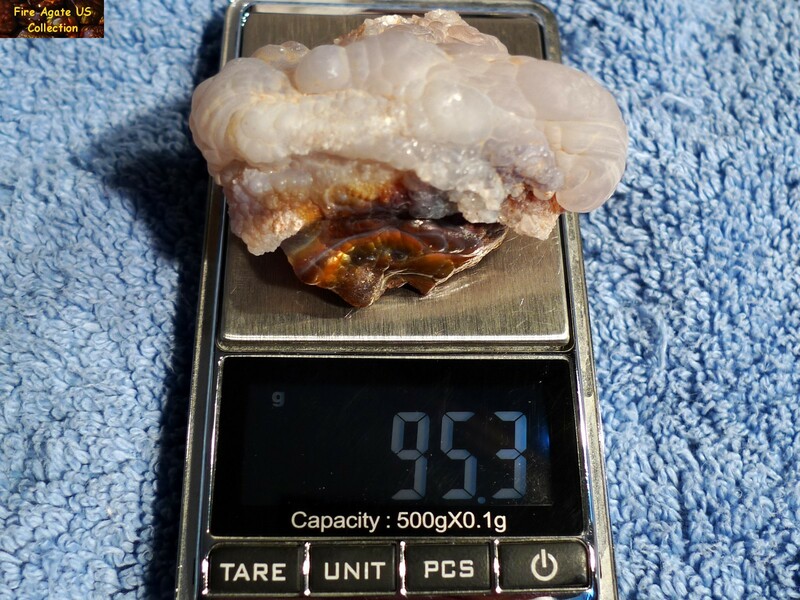 This all natural piece of Slaughter Mountain Arizona Fire Agate Rough measures 2-1/4 x 1-3/4 x 1-3/8 inches (57 x 44 x 34 mm) and weighs 3.35 ounces (94.9 grams). 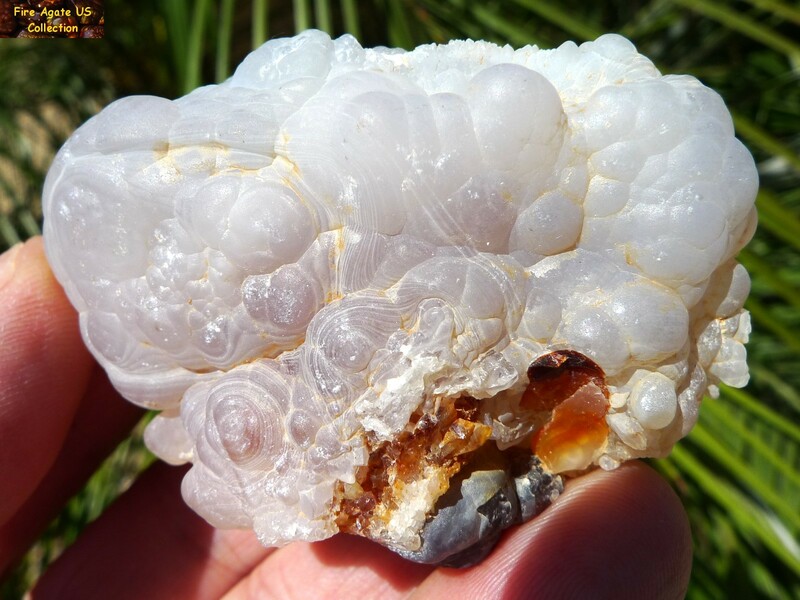 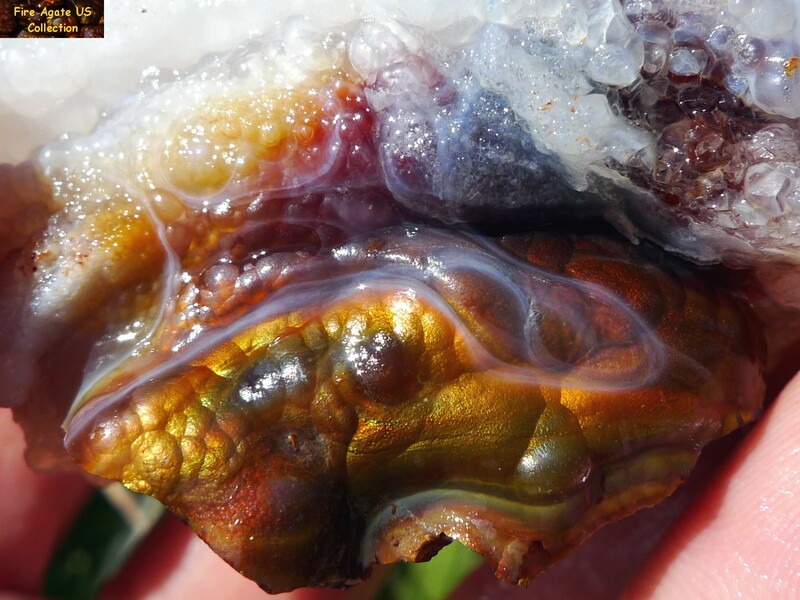 The piece consists of wonderful chalcedony with geometric designs, a quartz cluster, a small rhyolite matrix base and a large fiery red colored natural fire agate gemstone. 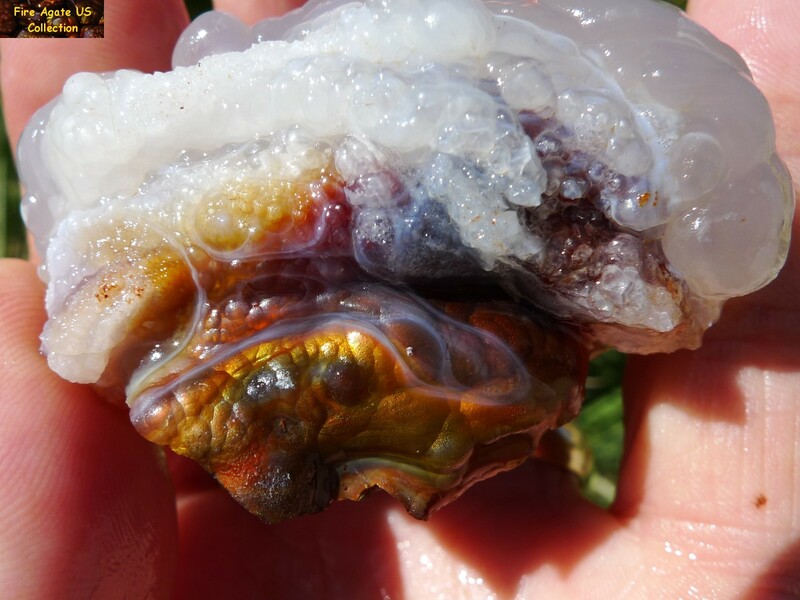 Some green fire is also visible underneath the quartz and chalcedony cap. 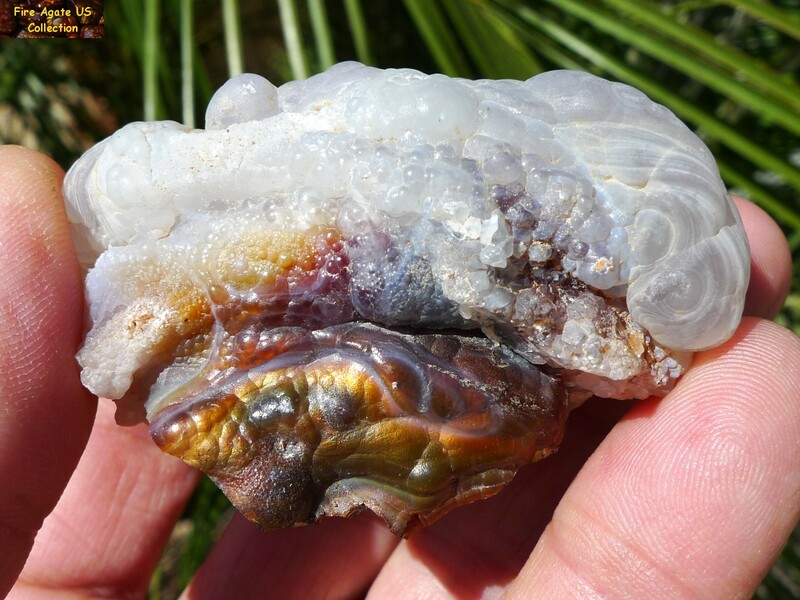 This high grade piece of fire agate rough could be carefully cut and polished for it's gemstone potential but we believe that it is better in it's natural state displaying Nature's beauty. 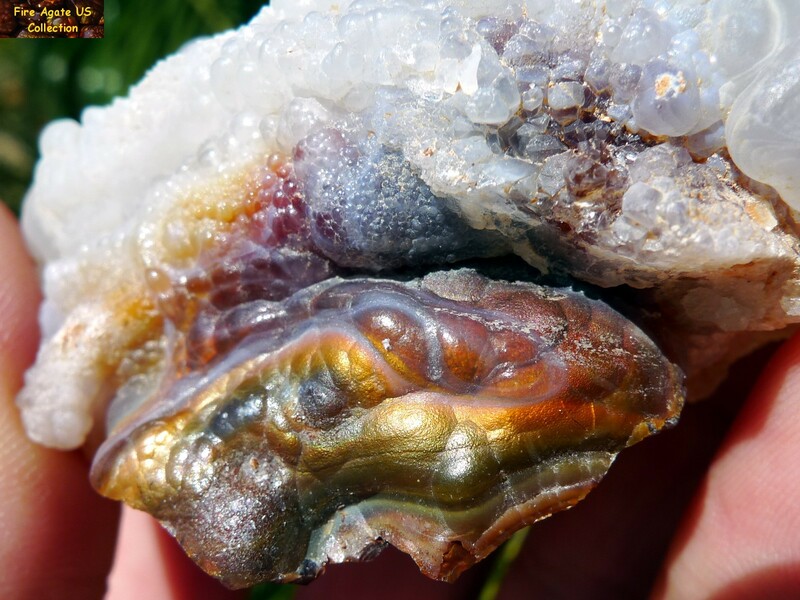 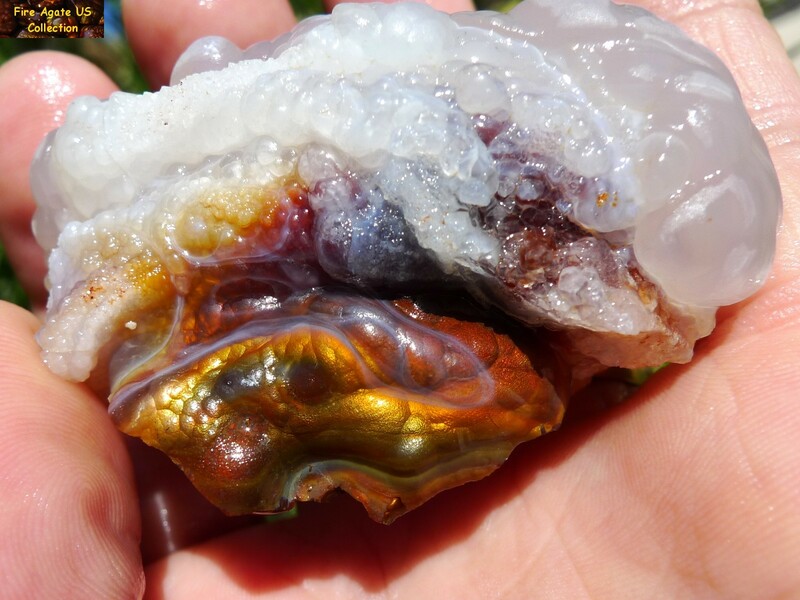 This piece of gemstone rough originates from Slaughter Mountain, Arizona, known for fire agates with intense color variations from bright reds and oranges to intense greens, purples and blues.